Nebraska Forever Stamp - Framed Collector's Editions are now in! Available now. Mike's image "Evening Passage - Sandhill Cranes" was selected by the United States Postal Service as a Forever Stamp in celebration of Nebraska Statehood 150th Birthday. We are very honored to be part of the celebration. Join Michael Forsberg and Melissa Groo as they lead a small, select group of intrepid travelers into the Great Bear Rainforest in British Columbia. This is a tour for photographers who are looking for a new way of approaching nature photography, both in an aesthetic and storytelling way. Photography has the power to tell a story and to affect conservation. Although we may see and photograph bears (black bears and grizzly bears), this tour is not about getting frame-filling shots of bears; it’s about engaging with and documenting the countless things that make up this ecosystem, from the large, luminous jellyfish, to the fin of a humpback whale scything the water, to the salmon skeletons found deep in the forest, picked clean. We’ll photograph sweeping vistas of valleys carved by glaciers, and gigantic hemlock trees dripping with “old man’s beard.” We will venture deep into old-growth rainforest, guided by expect trackers who will point out to us the plants and animals that make this ecosystem so special, and we’ll trek into valleys marked by meadows of wildflowers and meandering streams. Back at the lodge we’ll spend time with the First Nations people that are working hard to conserve this area, discovering what the threats are what they’re doing to combat them. Throughout all of this, we’ll talk and think about making pictures that touch on conservation principles applicable to any situation. Participants will be expected to know the basics about their camera gear. The instructors will always be available to answer any and all questions, and will work as time permits one on one with people in the field or lodge, but there will not be formal group instruction on camera use or photo processing. Participants need to be in good physical condition. This means that they are able to walk up to 3 or 4 miles carrying their chosen equipment, snacks, water. They should be able to clamber in and out of boats on their own, and cope with maneuvering often slippery rocks at the shoreline. They should be able to handle being on small boats sometimes on choppy water for up to two hours at a time. This interview with Michael was conducted by Co-Founder of PhotoShelter, Allen Murabayashi. In the interview they discuss Michael's work on the Great Plains, Sandhill Cranes, and Watersheds. Listen above or read the full article below. Michael's images were featured in a blog post written by Jill O'Brien from Wild Idea Buffalo Co. This post discusses the roles of predators and their importance in a prairie ecosystem. "Our love of nature includes a native habitat that is (or could be) home for prey and predators alike - including the great predators that have been extirpated or that have taken refuge in the mountains away from the pressing force of the greatest predator of all, humans." Nebraska Statehood Forever Stamp featuring Mike's image of Sandhill Cranes flying over the Platte River is released today. Released at this ceremony with Governor Pete Ricketts, First Lady Susanne Shore, Jeffrey C. Johnson of the USPS this morning at the State Capitol. It was a beautiful morning that started early in front of the Lincoln sculpture outside the capitol. Happy Birthday Nebraska! LINCOLN, NE — The U.S. Postal Service celebrated the 150th anniversary of Nebraska statehood today by issuing a Forever stamp depicting a photograph taken on the banks of the Platte River as sandhill cranes flew low overhead at sunset. Nicknamed the Cornhusker State, the 37th state admitted to the union also ranks 37th in population with almost 1.9 million residents. Michael's speech starts at 30:00. Michael's photograph of Sandhill Cranes flying over the Platte River will be used for a U.S. postage stamp to celebrate Nebraska's 15oth birthday. Mike Forsberg - a notable Nebraskan. Michael has been noted as one of the 150 most Notable Nebraskans. The Lincoln Journal Star chose people whose influence went beyond state's boarders, gaining them recognition in their fields. To read more about the 150 Notable Nebraskans visit the Lincoln Journal Star website. Michael is a recipient of the 2016 NANPA Environmental Impact Award for his work on Platte Basin Timelapse. He will be speaking at the Nature Photography Summit on the evening of March 3rd in Jacksonville Florida. For more information about the award and the event click here. This award honors a photographic project undertaken by an individual or a team that addresses an important and urgent regional or global environmental problem. The project should be concerned with one or more species or ecosystems and illustrate perils facing the species or ecosystems and/or sustainable management solutions to help preserve them. The project will be judged on its success in raising public awareness for the need to protect our natural world and in stimulating further study of the issue(s) addressed. The individual or team directing the project may be offered a Summit Keynote presentation position. The award is open only to NANPA members or, in the case of a team project, a team headed by a NANPA member. After 55 days and 1000 miles by foot, bike and canoe, Mike and Pete finally made it to the Missouri River Platte River confluence on August 24, 2016. The two men travelled the length of the Platte River by foot, canoe, kayak and bike. Learn the how's and why's of this journey and a few of the people who assisted and they met along the way. Many local news agencies reported on their journey. Click one of the articles below to read more. Michael and photographer Joel Sartore were recognized by the Nebraska State Legislature on Wednesday April 20th, 2016. Michael's image of a sandhill crane mother cradling her chick was featured in an article on the National Wildlife Federation's website. Click here to read the article. Michael, and his work on the Great Plains was featured in Outdoor Photographer Magazine's April 2016 issue. "In an instant, the moment was gone, yet I'll never forget it for the rest of my life. That fierce look from that tiny little owl pierced my soul like nothing else ever has or maybe ever will. It also proved to me that there was a lingering wildness that still survives on the prairie and that it's worth protecting." To read the rest of the article click here: Wildlife of the Great Plains. After years of instructing and collaborating, Michael was granted an honorary Nebraska Master Naturalist award earlier this month. 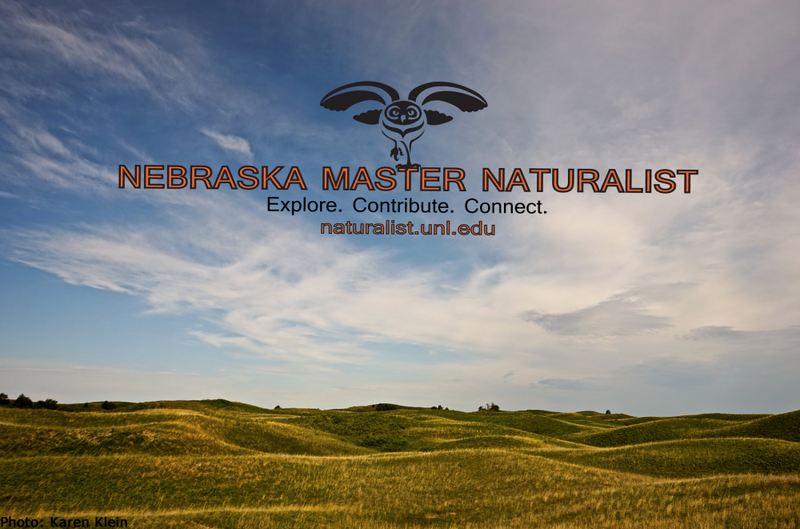 The Nebraska Master Naturalist Program provides Nebraskans with a passion for natural resources, scientific knowledge, and hands-on skills training that make them ideal volunteers and can enhance their lives. The program has created a network of dedicated volunteers for organizations and agencies focused on habitat conservation, environmental education, citizen science, outdoor skills and ecotourism. http://snr.unl.edu/naturalist/. Mike was recently featured on Today with Harry Smith in video about the sandhill crane migration here in Nebraska. Click here to read the article. The WATER Public Opening will be held on Friday, February 5 from 6 – 9 p.m.
WATER is essential to life, at times calming, at other times powerful and difficult to control; seemingly abundant, but increasingly scarce. Exploring and understanding WATER in a multitude of forms – as a conduit for transportation and civilization, as an environmental resource, and as one of nature’s most versatile tools – is the theme of KANEKO’s Spring 2016. The Platte Basin Timelapse Project is happy to be partnering with Kaneko, and will be displaying time-lapse video, audio, stills, and educational multimedia stories for this exhibit. Located in the heart of Louisiana, The Alexandria Museum of Art is showcasing Michael's photographs from his book On Ancient Wings: The Sandhill Cranes of North America. This exhibition serves to highlight the cranes as well as the work to preserve this species in Louisiana and other locations throughout the country. On November 12, 2015 Michael spoke at the Workshop: Implications of a Changing Arctic on Water Resources and Agriculture in the Central U.S. hosted at the University of Nebraska-Lincoln's Innovation Campus. His talk focused on the last five years of the Platte Basin Timelapse Project, a long term effort he co-founded in partnership with the University of Nebraska that is leveraging the power of of photography to observe change over time and tells the story of water across a major watershed. Significant climate and environmental changes are occurring in the Arctic and the pace of these changes have exceeded expectations. The implications of these changes on agriculture, water resources, ecosystem health and other sectors for the Great Plains and Midwest regions of the U.S. could be profound given the importance of these regions as a breadbasket of the world. It is the goal of this workshop to explore both the science associated with changes in the Arctic region and the implications of these changes on the frequency of extreme weather and climate events (e.g., severe weather, droughts, floods, heat waves) in the Central U.S. This workshop is timely in that it coincides with the U.S. assuming chairmanship of the Arctic Council in April 2015. This workshop will provide an opportunity to identify possible adaptation and mitigation measures in response to these changes in severe weather patterns as well as a framework for future research, management decisions and policy options. To read more about this workshop, click here. "That's the impetus behind The Platte Basin Timelapse project, a multi-media initiative he co-founded with television producer Michael Farrell. Through text, image, and timelapse photography, the project documents a watershed that threads across one of the most imperiled ecosystems in the world and gives voice to the stories that unfold along its banks. Forsberg refers to the river as the lifeblood of the region..."